This quick and easy project is sure to catch the eye! 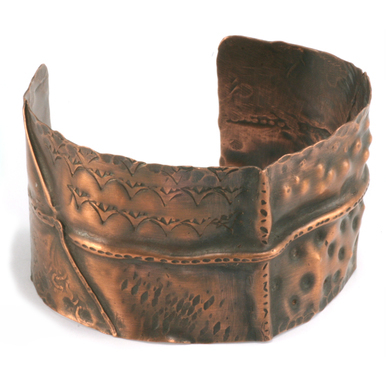 Instructor, Danelle Street shares one of her signature techniques for stamping and manipulating metal blanks. 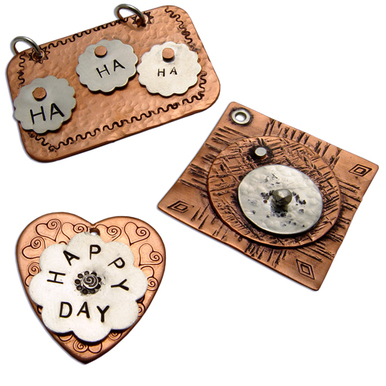 In this class, you’ll also learn how to cold connect blanks using nuts and bolts and how to put it all together to form a pretty pendant. This class has a running time of 12 minutes. We used the Stylized Heart blank to create a leaf on the second sample. This is a perfect example of what can be done with a few tools and little material. I LOVE the finished product! After having watched this class I plan on purchasing the dotted diamond stamp. Beautiful pendant which, on a smaller scale, could be used as charms on a bracelet or my favorite, earrings! The pendant necklace at the end that she created, is MOST GORGEOUS! Thank you Danelle and thank you Beaucation. Thank you Danelle! You are very easy to listen to and explain the process very well. I've been wondering how to shape my flower stamps and recently purchased the nuts n bolts and hex wrenches so I'm ready to go! !